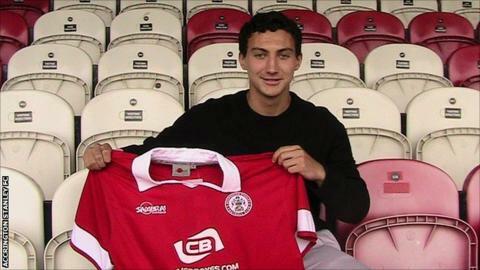 Accrington have completed the signing of Luke Clark from Preston North End on a free transfer. The 18-year-old midfielder has signed a one-year contract at the Crown Ground. Clark, who made four appearances for the Lilywhites last season, told the club website: "Everything about this seemed like the right move. "The manager [Paul Cook] wants us to pass the ball as much as we can. Who wouldn't want to be a part of that? That's what stood out for me." Clark becomes Accrington's fifth new arrival of the summer, joining former Preston team-mate George Miller, Lewis Hatch, Bohan Dixon and Toto Nsiala at the League Two club.